When I first started making cards, I didn’t use kits or pre-made toppers. As I’ve a) become more confident and adventurous, and b) built my crafty stash I’ve found kits are great for quickly creating a card which I can then put my own mark on. I needed a birthday card for a female friend of my mum’s. She’s mid-50s, loves her garden and has quite traditional tastes. I had very little time to make it, so turned to my stash of toppers and kits. 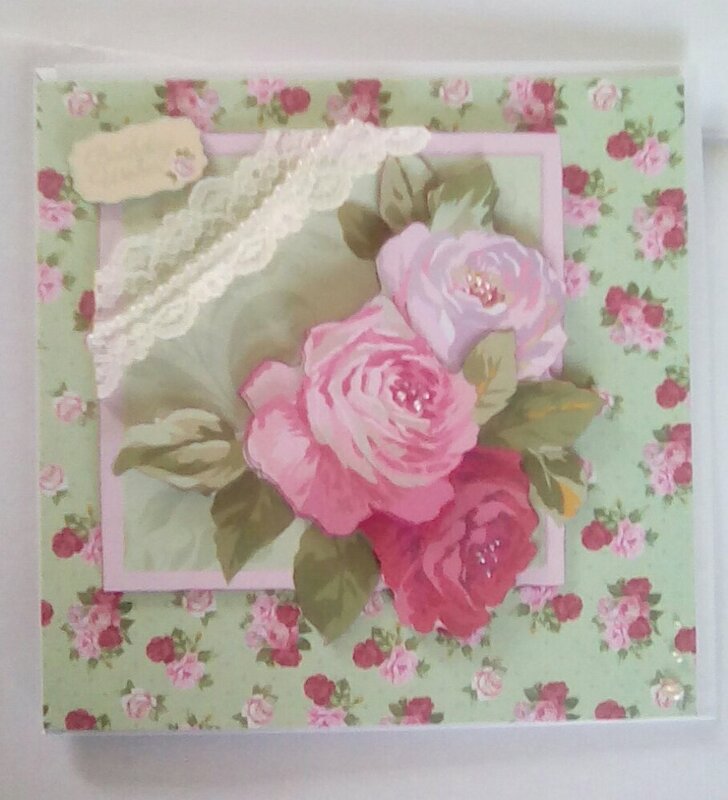 The kit I chose was Docrafts Simply Floral Someone Special. This is an all-in-one decoupage kit (just add adhesive and any embellishments you want). The kit has a suggested finished product on the back, useful as a guide. I began by popping out all of the die cut decoupage layers. Then I used a little, sharp pair of scissors to trim off the tabs which had held the die cuts in place. I used a deep pink felt tip to ink the edges of all layers – I like the extra depth this gives, and it helps hide the tabs if you’ve not trimmed perfectly. I used 3d foam tape to build up my layers, but you could used foam pads or silicone glue. Once the decoupage square was completed I used a lace ribbon with a row of little pearls to decorate the opposite corner. I chose this ribbon because I felt it complemented the very English style; the florals strike me as quite 1950s, elegant and slightly edgy. I like to attach ribbon before I add the topper to my card as I like to hide the edges around the back, this helps keep the front neat. I usually use Colall All Purpose glue or a hot glue gun to stick ribbon, it doesn’t come off that way. Next, I used Pritt Stick to fasten the decoupaged piece in the top left corner of the base card, approximately 1cm in from top and left edge. 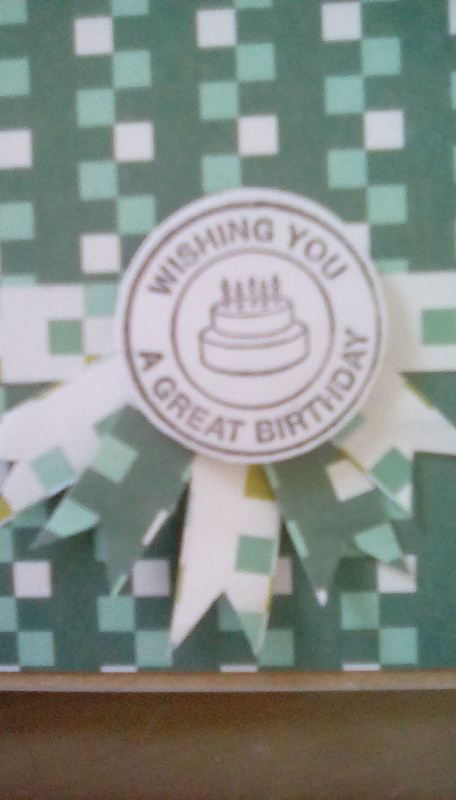 I added one of the sentiments (having inked its edges) above the ribbon, using 3d foam tape the give it some lift. 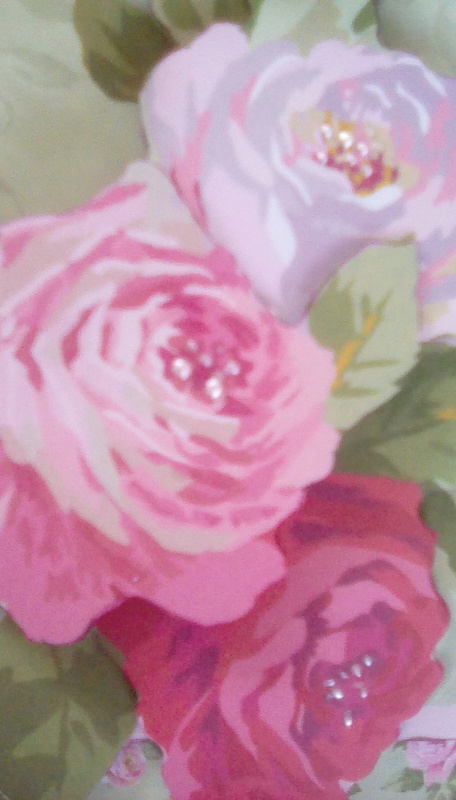 Finally, I used glossy accents to make the petals of the top rose appear wet, and liquid pearls to add detail to the centre of the flowers and to add pearls to the bottom right corner, increasing in size downward. 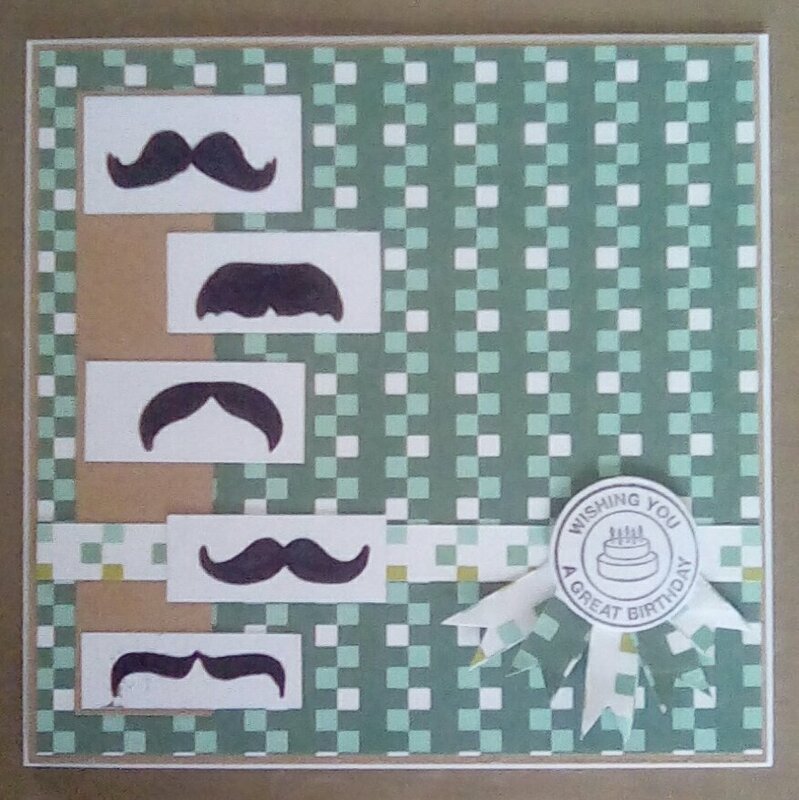 This entry was posted in Uncategorized and tagged card; Docrafts on April 17, 2016 by Isn't She Crafty. I wanted to introduce myself before I start publishing my makes and tutorials. My name is Michelle. I live near Newcastle in northeast England with my husband and our little menagerie -cat, Kye; rabbit, Hazel; bearded dragon, Falcor; and chameleon, Rumput. I have crafted as long as I can remember. I started with knitting, moved into embroidery and cross stitch, then I made my own wedding invitations (43 cross stitched butterflies in total!) and branched into cardmaking in 2013 which has developed into scrapbooking. My free time is split between crafting, reading and baking. My hopes with this blog are to share my loves, and to find a community where I will learn as well. This entry was posted in Uncategorized on April 12, 2016 by Isn't She Crafty.